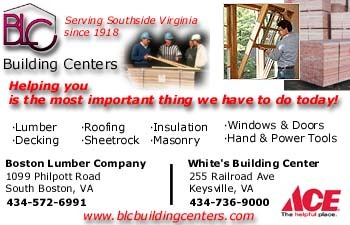 Festivals and Events listed are in Southside or Southern Virginia unless otherwise noted. If you looking for Festivals and Events in Southern or Southside Virginia, and have reached this page through a search engine or link, this may not be the most current listing. Admission is $5.00 per day for adults and children ages 12 and over. Children under 12 years old are admitted free. The South Boston Jaycees are making preparations for the 17th Annual Jeff Nelson Memorial Golf Tournament to be held at Greens Folley Golf Course on Friday May 6th. The primary beneficiary of this year's event is the Halifax County Chapter of the American Red Cross. Anyone interested in playing in the tournament, sponsoring a hole, or donating a prize can contact tournament chairman, Eric Arthur Jr. at 434-572-3636. Downtown Clarksville. Variety bargain shopping includes antiques, crafts, flowers, spring decorations & fleas! 8 am-3 pm. Relax and enjoy the beauty of Buggs Island Lake while a variety of professional and student musicians bring you the wonderful sounds of Jazz. Contact Ross LeCompte with the Southside Jazz Society at (434) 738-8485 or call Occoneechee State Park at (434) 374-2210. 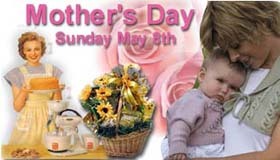 - May 8th is Mother's Day 2011. The Pigg River Ramble is a 3-day whitewater packed weekend full of excitement and adventure. You can race against other Ramblers or simply float for fun down the Pigg River. Friday, May 13, 2010 at 9:00pm kicks off the Pigg River Ramble weekend with the fun of a night-time float on the Blackwater River with the "Blackwater Blackout." Saturday, May 14, at 10:00am the Annual Pigg River Ramble kicks off with a competitive style float down the Pigg River, with canoeists/kayakers from all over the East Coast. Sunday, May 15, at 7:00am Breakfast on the Blackwater starts off with a homestyle breakfast and wraps up the weekend with one more float down the Blackwater River. Danville's right of Spring offers acres of arts and crafts galore, fantastic food and exciting entertainment make up the framework of this event. Enjoy the expanded Health Fair, Creative Kids Activities, Spectacular Youth Art Gala, Exhibits and the Nestle 5-K Walk/Run taking place throughout the weekend. Each year something new is introduced to keep the Festival young. Spend the day at beautiful Occoneechee State Park and experience the song and dance celebration of Native American Dancers and Drums. Enjoy freshly prepared Native foods, shop with craft vendors and visit the park Native American museum. Occoneechee State Park is on John H. Kerr / Buggs Island Lake in Southside VA.
You have seen the reality shows, now learn the techniques first hand. Discover the subtle keys to survival including risk assessment, planning, and decision making. Learn the basics of shelter, food and water that can help you survive those crucial hours in the wilderness. Practice hands on with fire making techniques such as the bow and spindle, fire by friction and other innovative methods. Festival held at Occoneechee State Park in Clarksville, VA.
Concerts will be held at the Clarksville Fine Arts Center, 5/21, 7 pm; 5/22, 4 pm. Donations accepted and are tax-deductible. The Chorale is composed of our musical family members, friends and neighbors; Carol Henderson, director and Melody Green, pianist. Residents of Fieldale, VA are proud to announce that the Fieldale Heritage Festival is coming to town once again. There are all types of festivities planned for this fun packed day. There will be historic displays which include photos, silent movies, newspaper articles, personal memorabilia and more that depict the beginning of the area all the way through to the present, live country, bluegrass and gospel music throughout the day, artisan demonstrations, delicious food, activities for the children, an evening street dance, city historic walking tours and so much more. The festival event is part of a community revitalization effort. Fieldale is a proposed historic district - having been established in 1917 and named for its famous founder, Marshall Field, Sr. This funfilled family event is free and open to the public. Saturday, 10 am - 3 pm, Arts & Crafts, Food & Fun. The third annual Rooster Walk Music and Arts Festival is set for May 27-28 at Blue Mountain Festival Grounds. Rooster Walk will feature 19 bands. Musical genres range from rock/jam to bluegrass, folk, jazz and blues. Scheduled performers: a VERY SPECIAL secret headliner; festival hosts Folk Soul Revival; The Mantras; Jesse Chong Band; Sanctum Sully; Rob Cheatham & GUNCHUX and many more. In addition to music, there will be food, arts & crafts and children's activities. Kids 12 & under get free admission with a paying adult. Primitive camping is available on-site. Campers are welcome, including RVs, tow-behinds and popups. No electricity or water hookups are available. Rooster Walk proceeds fund a college scholarship at Martinsville High School named in honor of two MHS grads from the class of 2000 who recently passed away. Lake Gaston Chamber, 12 noon until sold out. All are invited to the 19th annual event at the Lake Gaston Chamber, 2475 Eaton Ferry Rd, Littleton, NC; prize winning BBQ and delicious sides. Tickets may be purchased at the LG Chamber and United Country Realty in Bracey. For more info, call 252-586-5711. Registration in South Hill, 9 am. Ronnie Edmonds, a veteran law enforcement officer formerly with the Brunswick Country Sheriff’s Office and of the South Hill Police Department, passed away last year. Edmonds was an avowed pet lover and fervent supporter of the SPCA. All donations are tax deductible and all proceeds will be presented to the SPCA. 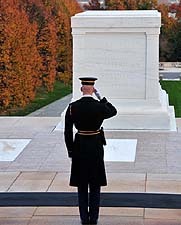 REMEMBER those who gave ALL. 11am Veterans Memorial Park in South Hill. Virginia Avenue Mall, 5-8 pm. Stop by 317 Virginia Avenue and check out the sales and specials on this special sports weekend—it’s Soccer Splash 2011 in Clarksville! There will be snacks, specials and a lot to see. Join us or you’ll miss all the fun! 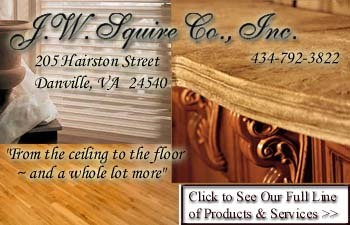 For more info, call 434-374-5949. Plan to spend the first Friday of each month at the Carrington Pavilion at the Crossing at the Dan for Danville Harvest Jubilee's annual Fridays at the Crossing Series. Bring your friends, family and join in the fun. Your favorite food and beverages will be available on site. Gates open at 6:00 pm. Tickets are $3.00 at the gate or pick up your tickets at the Welcome Center. Children 12 and under free with an adult. Mecklenburg County Community Services Corp. cordially invites your soccer team to participate in the 2011 Lake Country Soccer Splash Tournament to be played at the J. H. Yancy Soccer Complex in Clarksville, Virginia. Note: after interest from teams we have decided to extend our age group for the tournament to include U-18. Event includes native dancing, arts and food; planting demonstrations; birds of prey exhibit, and more. Visitors can also participate in a canoe trip down the scenic Staunton River ($15 fee - call to register) and see Longwood University's archeological study site. HaliFair, an arts, crafts, and horticulture festival, will be held on Saturday, June 5, 12 noon to 10pm at the Halifax County Fairgrounds and will feature activities for all ages. Oh there’s plenty to smile about at the Virginia Pork Festival. Down here you’ll find nothing but good friends, great food and lots of fun! What else would you expect from the world’s largest outdoor barbecue. Last year’s event attracted over 15,000 people representing 32 different states. And each year they all come back for more. We consider this a compliment to our chefs and a testament to the quality of the event. The U.S. Army Corps of Engineers presents National Trails Day, Hike, Bike, Paddle event at Jamison Mill Park on Philpott Lake. This event is held as part of the American Hiking Society's 19th Annual National Trails Day celebration. Event includes an interpretive hike, food vendors, bicycle ride, paddle trip and children's activities. National Trails Day was created to promote healthy lifestyles, connect the public with trails in their community, build partnerships to protect trails and to encourage cooperative efforts among the various trail users. This event will also be the official dedication of the Jamison Mill Trail System, which offers 6 miles of shared-use trails for hikers and bicyclists that meander through a variety of landscapes, including mixed pine and hardwood stands, lake views along the shoreline and beautiful ridge top vistas. Experience recreationists will be demonstrating proper techniques and gear maintenance. Come join us at beautiful Potts Landing for flying, fellowship and breath taking sunsets. 2nd Annual 3min. Show Contest on Sat starting at 12PM. A very fun and simple format. Take center stage for 3 min and show what you got! All welcomed to participate. $10 entry fee required. This festival sponsored by the Charlotte County Chamber of Commerce offers something for everyone. The event includes a parade, local arts and crafts, great food, informational displays & exhibits, live history, music, pony rides and other children's activities, and more. Civil War Reenactment, Encampment and Living History Weekend at the Smith River Sports Complex. Jun 18-19 from 9am-5pm ea. day. The Stuart-Hairston Camp 515 Sons of Confederate Veterans presents the First Annual Battle of Martinsville. Weekend events include: battles both days, along with an artillery night fire. Sunday morning church service, military sutler, bell elixers, a blacksmith, Victorian photographer, Tom Perry (author/bookseller), an orator, Raggedy Ann concessions, bear flag, and Fry bread and barbeque. All events will take place in the fields next to the Sports Complex maintenance facility alongside the Smith River. Admission is $5.00 for adults and FREE for children 12 and under. Parking is FREE. For more information about the reenactment call Daniel Young, the Blacksmith, at 276-629-7355 or 276-358-1557 or email scv515@gmail.com. Visit http://www.southernvirginiasports.com for a complete event flyer and map of the Complex. Doesn't Dad deserve something better than an ugly tie? On the 24th enjoy a cannon firing demonstration at dusk & a wagon ride through the low grounds at 8 pm. Saturday's activities begin at 9 am and include a Confederate encampment, cannon firing, a United Daughters of the Confederacy medal presentation, interpretive programs, and more. Celebate the 4th of July at South Boston Speedway! Races include NASCAR Whelen Late Model 200/ Limited 100/ Pure Stock 50 followed by FIREWORKS!!!!!! Activities and events include live music, food vendors, arts and craft vendors, colonial interpreters, guided tours of the plantation, kids’ games, raffles, and of course, fireworks. Bring your lawn chairs or blanket and enjoy the day on the beautiful grounds overlooking the Staunton River valley. Grounds open at 9 am, events begin at 3 pm. Admission fee. July 4 - 11 am. The Clarksville Ruritan will be host the 3rd annual event. Mark you calendars for this special parade and community cook-out in Downtown Clarksville. Parade application and more information will be posted soon on the Chamber’s website at www.clarksvilleva.com. A patriotic family celebration featuring a patriotic concert, children's activities, and a grand fireworks display. 4 pm 'til fireworks. Crossing at the Dan & Carrington Pavilion, no admission charge. Even before the music starts for Celebration 2011, young and old people alike will have a festive time at the Martinsville Speedway enjoying great food, music and fireworks. Not only is this a celebration of Independence Day but is a time to have some serious fun. Children's rides will be open from 5-11:30 pm. Mountain Heart, fronted by Henry County native Josh Schilling, will open at 7 pm followed by Marshall Tucker Band, the venerable Southern Rock band that has seven gold and three platinum albums to its credit at 8:30 pm. Once you've enjoyed the carnival rides, eaten great food and listened to exceptional music, grab a chair, let down the tailgate and wait for the area's largest fireworks show to cap the evening. Gather the family, friends and anyone looking to celebrate Independence Day in a big time way and join us at the Speedway for an evening of fun! Voted by the Southeast Tourism Society in 2011 as “One of the Top 20 Festivals In The Southeast”, LakeFest (as it is known locally) attracted nearly 100,000 visitors in 2010 to view hundreds of attractions including hot air balloons, arts and crafts, live entertainment including music and dancing, great local and ethnic food, and the traditional ‘Gathering Of The Boats’ and fireworks show! Make this YOUR year to come and experience the wonder and fun of LakeFest – you’ll be glad you did! Join us July 14, 15, & 16th, 2011. This year we will be celebrating the 31st anniversary of the best party in Southern Virginia. Begun in 1981 as a way to showcase the succulent goodness of cantaloupes grown locally in beautiful Halifax County, the Virginia Cantaloupe Festival has expanded to become one of the premier events in Virginia. Within two years of it's inception, the festival was drawing crowds of more than 3500 people. People of all ages from all walks of life come to the festival each year helping to add variety to the event. The Virginia Cantaloupe Festival is the place for good friends, good food and good times. There will be live music from several different performers and bands, lots of food, and an abundance of adult (and regular) beverages. This years event is sure to be a crowd pleaser! If you've never been to the Virginia Cantaloupe Festival, come check it out this year and see what you've been missing! A 5-day celebration of music and art nestled in the beautiful Blue Ridge Mountains of southwest Virginia! Celebrate 45 miles of the scenic Smith River, and all the recreational opportunities it provides, at the 4th Annual Smith River Fest! This year the festival will be hosted at a new venue, the Smith River Sports Complex, with easy access from the 220 bypass. Browse through vendor booths, take a walk on the Smith River Trail System, check out the latest in paddling gear offered by local outfitters and enjoy the river! On-site rentals/shuttles and guided trips will be offered. Paddlers and tubers may choose a calm family friendly float upstream from the Sports Complex or tackle class I/II rapids offered further downstream. Guests can spend a night under the stars with on-site tent camping available. Family fun, music by several local bands, arts and crats, vendors of all kinds, civil war renactment, fun run, classic car show, motorcycle benefit ride, games petting zoo and more. Over 1000 people last year enjoyed the event! The Annual Bassett Heritage Festival will be held Saturday, September 10th. This event is sponsored by the Stanleytown Ruritan Club. There will be vendors with food, snowcones, popcorn, jewelry, flowers, gifts, crafts, baked goods, t-shirts, and more. You will find "Red Pole" Stone's hot hot dogs-it's the chili. The sale of these legendary hot dogs benefits the Bassett Fire Department. The Bassett Ruritan Club also participates with a Country Breakfast. There is a Classic Car Show, lots of music, free Rides for children sponsored by Bassett Industries and an Honorary Mayor will be elected-results announced just before the 2pm parade. The festival is held-"rain or shine". Historic displays in the old Train depot featuring Native-American artifacts, photography exhibit, historic displays and others. It has been 108 years since the Old 97 tumbled down Stillhouse trestle and into the history books. Join us for this weekend of commemoration with operating N-scale model railroads racing down the tracks courtesy of N-scale modelers from across the eastern United States. Watch for your favorite train cars as the mode trains travel through detailed dioramas. On Saturaday only, check out the fully restored Norfolk and Western Caboose with our tour guide and tap your toes to tunes of old-time music performed behind Science Station. Saturay admission is only $1 per person or download a Smithsonian museum day pass and get in free. Bring the family and stay for the day. This festival has something for everyone, young and old alike. Crafters line the streets with handmade items. Music fills the air from the two stages of live entertainment. And food is available for every taste. The kids will enjoy the pony rides, face painting, pumpkin painting, scarecrow making, balloon sculpting,clowns, magicians and the bounce houses. The street festival runs from 9:00 am to 5:00 pm. Our festival participants are the real thing, sharing folk traditions that are a part of their everyday lifestyle. Please include location, dates, description and link to event website or page if appropriate.